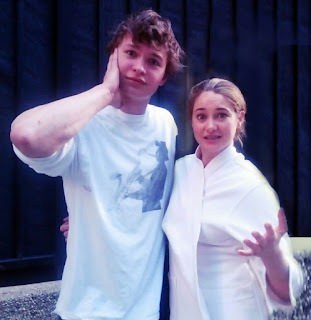 As you already know, Ansel Elgort and Shailene Woodley will be our two main leads for the movie adaptation of John Green's best selling novel "The Fault in Our Stars." 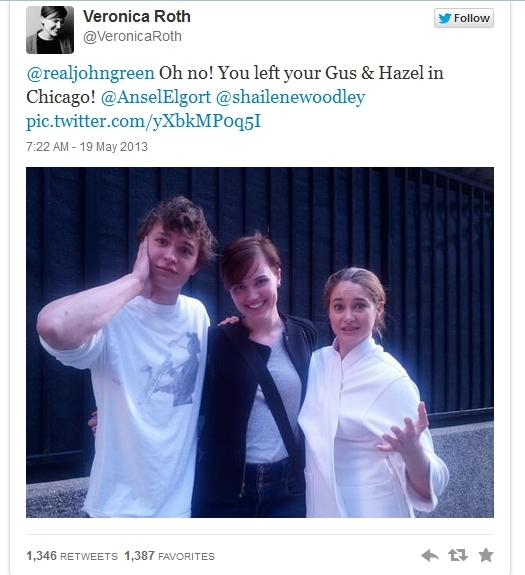 They will play Gus and Hazel, respectively. These two actors are also working on another movie called "Divergent," based from the novel by Veronica Roth. In that said movie, they play as brothers and sisters Caleb and Tris. 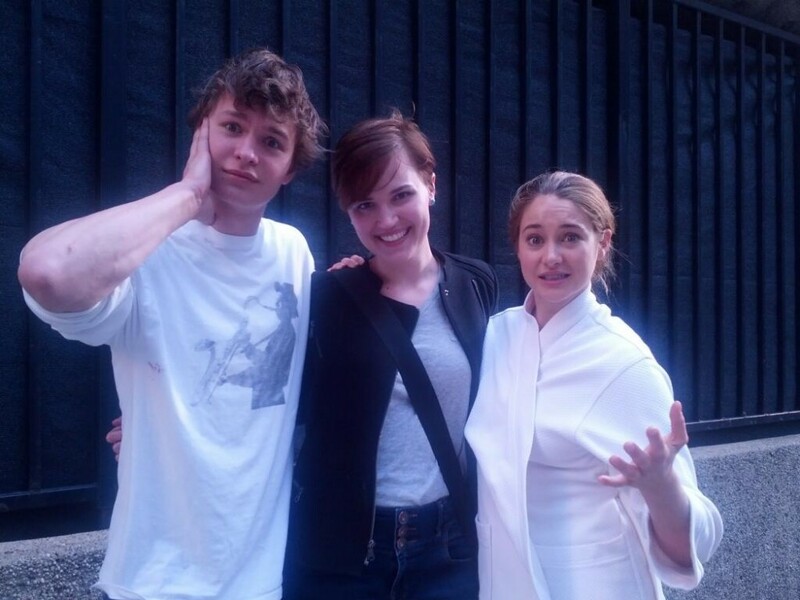 Veronica Roth was able to share a photo of her with Shailene and Ansel. Well, this is our first peek at the two actors together (though Ms. Roth is in between them). Ms. Roth also teases John Green about it via Twitter. ... however, with a little help of Photoshop, they are now together! HAHA. enjoy.